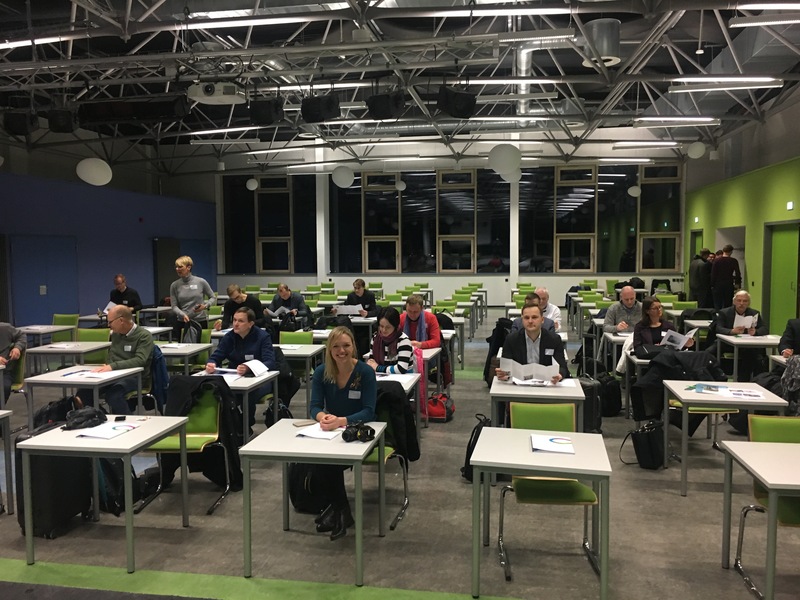 In mid-January, the Interreg Baltic Sea Region project LowTEMP, which aims at a sustainable development of the district heating supply, organised for the third time a study visit for project partners and interested stakeholders from the partner countries. 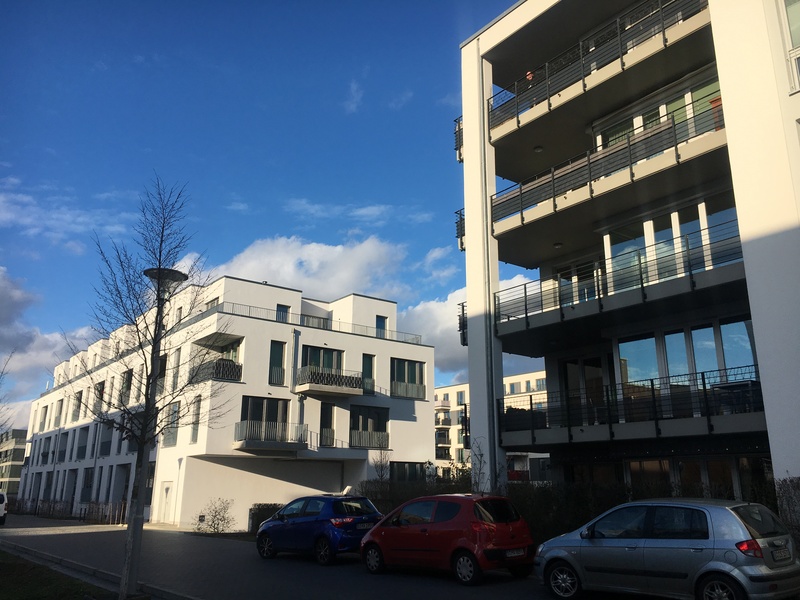 After the partners have been invited in the past year to site visits in Denmark and Sweden, now visits and lectures on exemplary and sustainable district heating supply projects in Berlin and Brandenburg have been on the agenda. The atene KOM GmbH being responsible of project management as well as communication and finance management in LowTEMP, organised the two-days event together with the partners Brandenburg University of Technology (BTU) Cottbus-Senftenberg and the Centre for Energy, Construction, Architecture and Environment (ZEBAU). Nearly 40 participants from all nine LowTEMP partner countries met at the beginning of the event in Berlin-Adlershof, Germany’s biggest science and technology park. Here, also an integrated energy concept is implemented which aims to lower the primary energy consumption of the quarter at around 30 %. A particular highlight for LowTEMP is the low temperature heating net for the newly constructed residential area “Living at the Campus”. Here, the heating supply of the low energy district with district heating is realised with a combined heat and power unit (CHP). Compared with decentralised solutions (gas boiler plant or smaller CHP) up to 75 % of primary energy can be saved. And when comparing it to classic district heating supply, savings of around 20 % primary energy are possible. 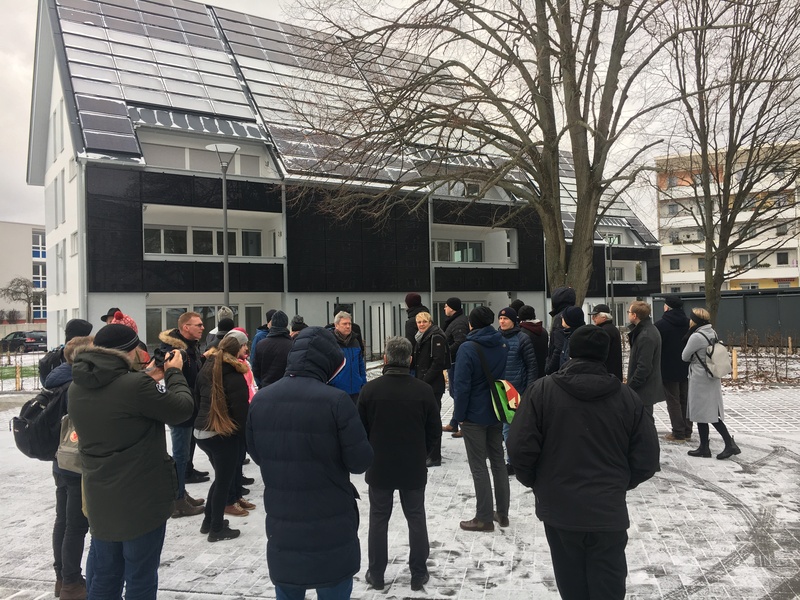 Besides of lectures and a visit of the new residential area, the partners had the possibility to inspect the power-to-heat unit in the cogeneration plat of the BTB GmbH. Afterwards, the partners where travelling to Cottbus, where they were welcomed in the energy saving school “Max-Steenbeck-Gymnasium”. This is one of the first school buildings, formerly constructed as prefabricated building in the GDR, which has been refurbished according to passive house standards. A special feature in the heating supply is the 40 square meter solar collector field for the generation of solar heat for the hot water production in the sports hall. Solar heat, which is not used directly or has a too low temperature level, is stored. On the second day of the study trip, the project partners visited the Cottbus housing cooperative “eG Wohnen”. 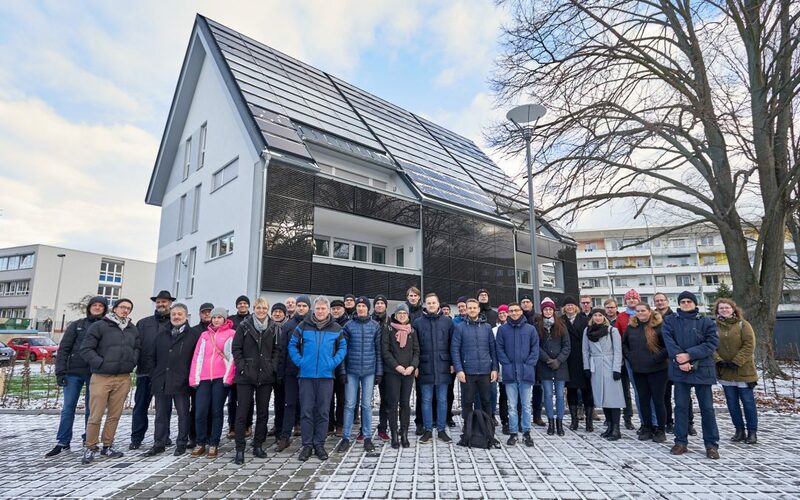 Especially interesting for all participants have been presentation and visit of the „Solar houses” which have just been completed in construction. The multi-family buildings provide themselves with heat and electricity from the sun. This energy concept made the partners intensively discuss the advantages and disadvantages of conventional district heating supply compared to an autarkic and decentral heat supply in a building. Last item on the agenda of the study trip was the visit of Berlins largest solar thermal plant, which has been installed by Vattenfall in Berlin-Köpenick in 2018. 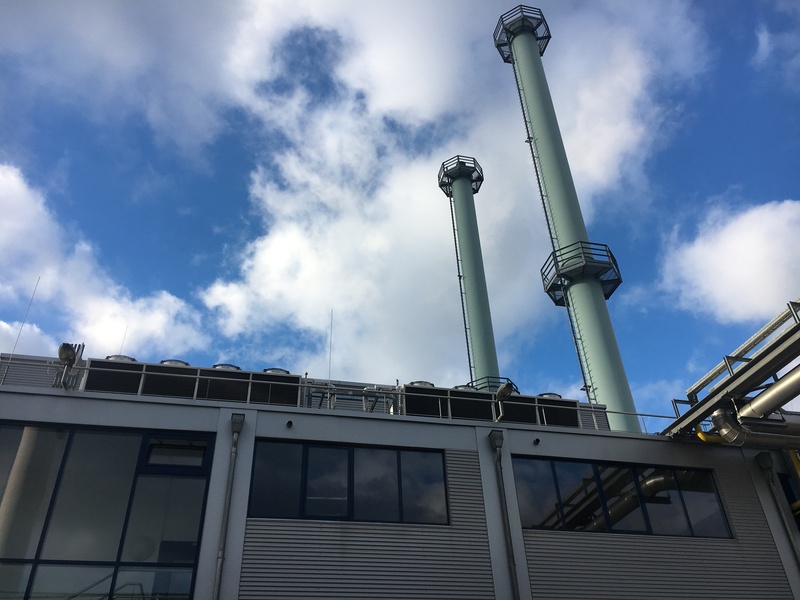 The cogeneration plant supplies around 10,000 households with district heating, which now, using solar energy, is much more climate-neutral. 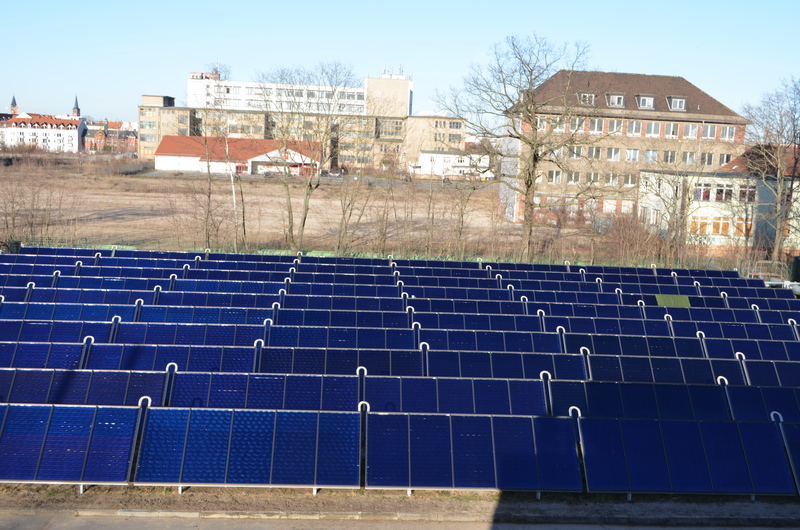 Edgar Scheider, the responsible engineer at Vattenfall, sees the installation of the solar thermal plant as an important contribution of the enterprise to the energy transition. Besides the back out from lignite and hard-coal in the coming decade, the further development of the district heating grid is part of the action plan of Vattenfall. Berlin already has the largest district heating grid in Western Europe. Vattenfall, being the largest energy supplier in the capital of Germany, currently is working together with the Land of Berlin on a feasibility study on the exit from coal use which shall be available in 2019. The experiences made with the new solar thermal plant will be included. The study visit provided the participants with important know-how on sustainable heating supply systems. In the upcoming two project years, this s know-how and the increased awareness on the necessity to install future-oriented district heating systems shall contribute to the realisation of more energy efficient, sustainable and innovative projects of energy supply in the Baltic Sea Region.